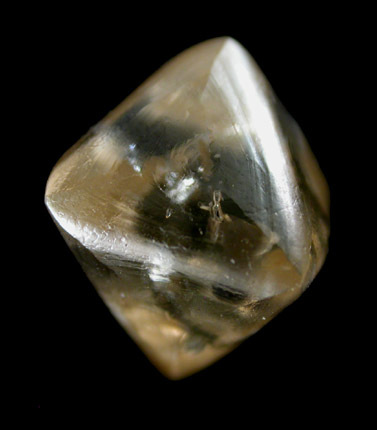 Translucent octahedral crystal of natural diamond weighing 4.72 carats. There are several inclusions of darker minerals inside the diamond. This crystal is complete and undamaged. This is the largest diamond crystal I have! Overall size of mineral specimen: 10x8x8 mm. Size of individual crystals: 8 mm.